Medical Malpractice. You may be able to pursue a medical malpractice claim if a doctor, nurse, dentist or other licensed healthcare professional failed to properly treat you. Serrano PC medical malpractice lawyers have the skills and experience required to manage complex cases involving medical negligence. 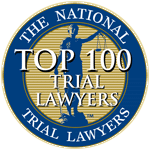 Please contact us for a free consultation to discuss your case at 202-330-6290. We aggressively represent victims of medical malpractice to obtain the compensation our clients deserve for injuries, lost wages, medical expenses, mental anguish, and pain and suffering. Serrano PC will aggressively negotiate on your behalf and pursue your goals in the courtroom, because we have the skills and experience to take your case to court if you do not receive the out of court result you deserve. Not all medical mistakes or errors amount to medical malpractice or negligence, however, Serrano PC works closely with highly qualified medical experts to help evaluate your case and develop an effective strategy. In addition, a skilled attorney will determine if a medical professional failed to perform duties that met the standard of care. Our firm handles large cases and therefore we have the experience to guide clients through these complex situations. Call or text us 202-330-6290. MEDICAL MALPRACTICE CASES ARE BILLED ON A CONTINGENT FEE BASIS MEANING YOU ONLY PAY US IF WE WIN YOUR CASE. A patient was unceremoniously discharged from Howard University Hospital in Washington, D.C. Rather than ensuring her safe return home, the patient was dumped from a wheelchair and left lying on the ground outside the hospital. According to news reports, the hospital has paid out $27 million in medical malpractice and wrongful death lawsuits since 2007. It is no wonder. Click here for the full article. A recent study by BMJ Quality & Safety, a publication of the British Medical Journal, found that most successful medical malpractice claims were based upon a diagnostic error committed by a medical professional. While many of us first think of cringe-inducing surgical nightmares, including amputations of a healthy leg, the misplaced sponge or surgical tool left in a patient’s body, or an error in prescribing medication as the main cause of medical malpractice claims, it turns out that a failure to properly diagnose a condition is the number one type of a successful malpractice case. It is worth noting that the study conducted by BMJ makes clear that incorrect diagnoses made up 29 percent of successful malpractice lawsuits. In addition, claims involving a misdiagnosis caused 39 percent of malpractice-related deaths. Therefore, the next time you think your doctor is not as proactive as you would like, get a second opinion. And, if the doctor offering a second opinion is not much better, get a third opinion. Keep searching until your doctor is as proactive as you are because you deserve to receive proper care. Finally, if your doctor is not a great communicator, find one that is. Importantly, a good doctor should encourage questions and provide thoughtful answers. PARA INFORMACIÓN EN ESPAÑOL, HAZ CLIC AQUÍ. You may reach us at 202-330-6290 via text or phone or send us an email by clicking here.